This is a cartoon type UV ozone sterilizer, with pointed small ears, small head with round head and round head, or blinking or blinking at you, two small claws under the gang, it seems to be like Spoil you again. Just put two 7-cell batteries and touch the head for 2 seconds. The small lights will light up immediately, and the kitten will immediately sterilize the bottle mouth in your stomach. 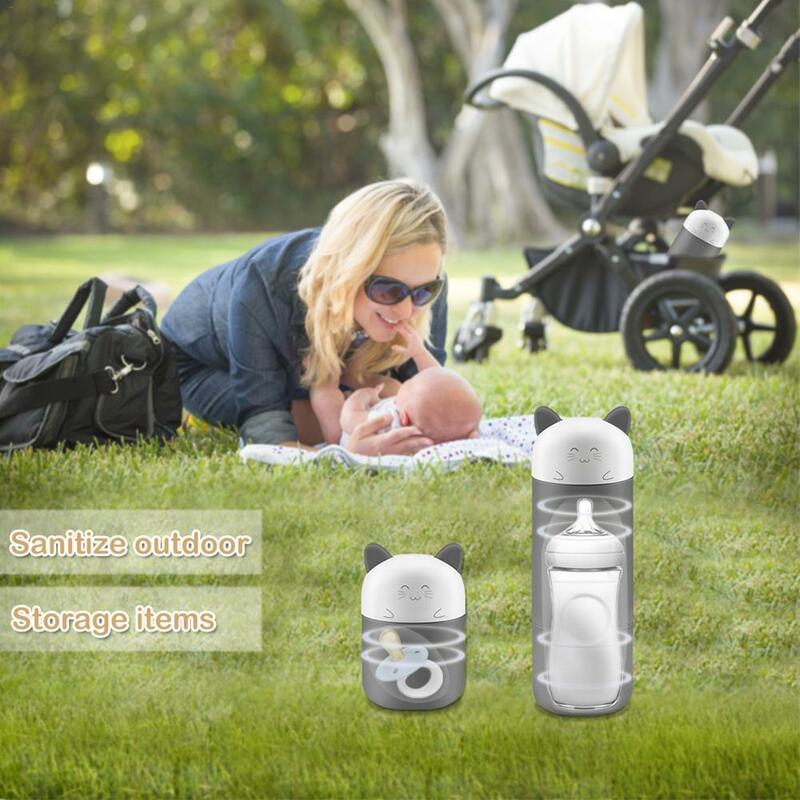 To miss every sterilization dead, in addition to UV, ozone kittens will be released, so that the entire gas filling inside and outside the bottle, double sterilization.